Here are just a few things to know about sustainable farming and the many ways that it improves our community. Baywater Farms is a proud leader in the sustainable farming community of Maryland’s Eastern Shore. The word “sustainable” is used to describe many things, but when it comes to agriculture, it applies mainly to the protection of the environment, the community, and public health. When buying organically-grown, local produce, you want to be sure that the business you’re supporting it committed to supporting its own community. We believe in ethical, sustainable farming practices that ensure the safety of the citizens and their environment. At Baywater Farms, we are committed to maximizing sustainability. Here are just a few things to know about sustainable farming and the many ways that it improves our community. Our earth provides us with everything we need to survive, and it is easy to take this bountiful world for granted. That why ensuring that you are purchasing produce from a source that is firmly dedicated to sustainable farming is key. Sustainable farming helps replenish the land and many other natural resources, such as water and air. In this way, future generations of farmers will have the same fertile, lush, productive land that we have now. Sustainable farming also contributes to fair wages for farmers and their employees. When you buy local, organic Maryland produce, you keep money local as well, which will later be used by other local businesses. The economic benefits greatly reduce the need for government subsidies and strengthen local, rural communities. With a hands-on approach to environmentally-conscious agriculture, sustainable farming methods allow farmers to avoid using hazardous chemicals. These harmful chemicals can leak into public water sources, creating problems for everyone in the community. 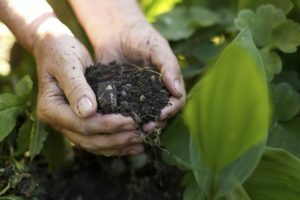 Sustainable farming techniques also allow farmers to limit human exposure to pathogens, toxins, and other dangerous pollutants. This entry was posted on Friday, March 30th, 2018 at 9:37 am. Both comments and pings are currently closed.